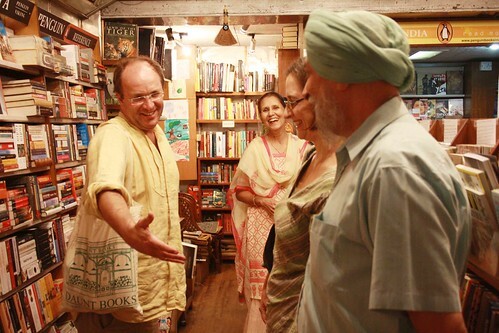 Chasing Delhi’s most popular historian. 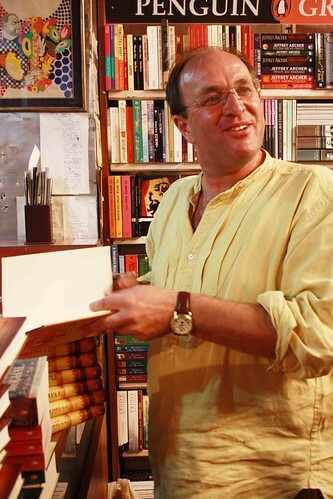 Five evenings after the formal launch of his book Nine Lives – In Search of the Sacred in Modern India, author William Dalrymple (Will, if you please) was spotted at Bahrisons Booksellers in Khan Market. Sitting next to a shelf stacked with coffee table volumes, he had some 300 copies of Nine Lives piled neatly on his right. 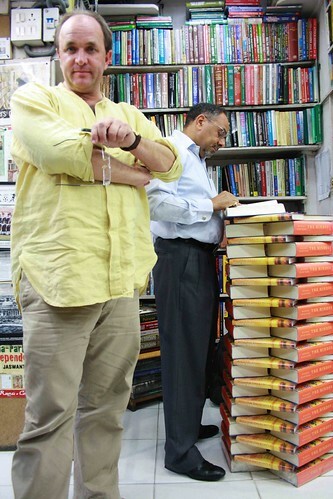 Rajni Bahri, the store’s owner, was handing him the hardbounds one by one. Mr Dalrymple was chatty with her. He discussed children, joked about learning Bengali, praised a new book on Hinduism. 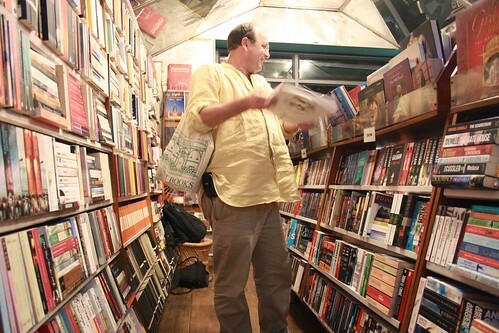 After half an hour Mr Dalrymple was seen in front of the foreign magazine stall run by Mercury Audio Video. Next, his car was driving into Jor Bagh Market. He checked into The Book Shop. A Jor Bagh resident waiting for him cried out a ‘Hey’ and clapped her hands. 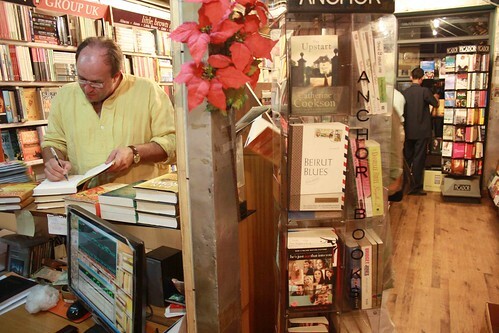 She was the only customer, besides Nini Singh and husband KD Singh, the store owners. 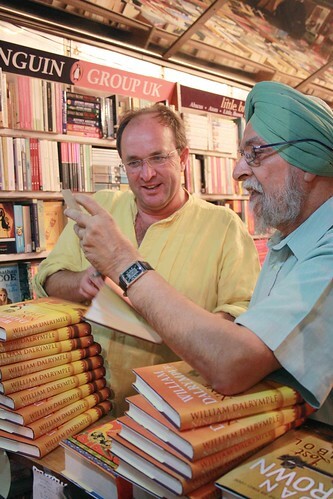 A friend had tipped her off that Mr Dalrymple could be coming for an impromptu book signing. 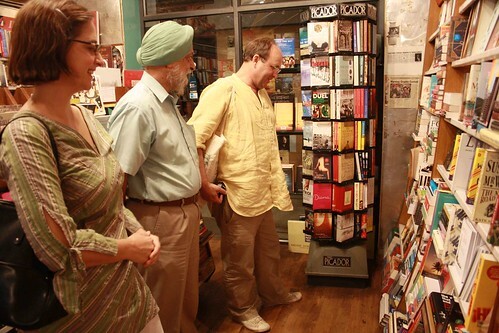 She was carrying a copy of Nine Lives she had bought there the week before. Once the author drove away, presumably, to his farmhouse near Mehrauli, Mr Singh shared an old anecdote with The Delhi Walla. 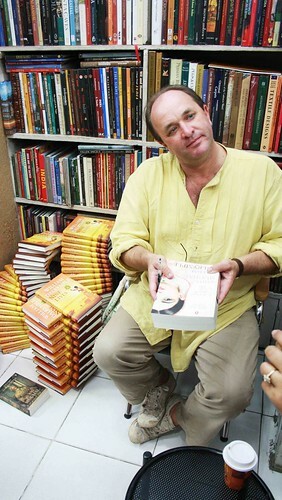 Once Mr Dalrymple came to The Book Shop in Khan Market (that branch shut down in 2006) to sign 100 copies of his collection of essays, At the Court of the Fish-Eyed Goddess, now available as The Age of Kali. 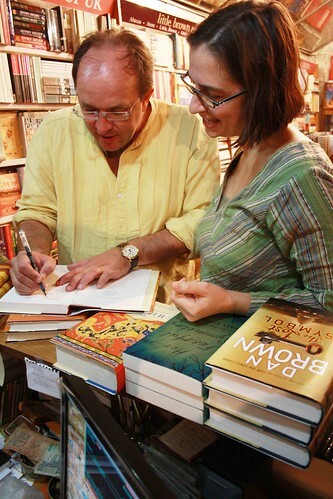 The author was with his artist wife, Olivia, who had illustrated the book. 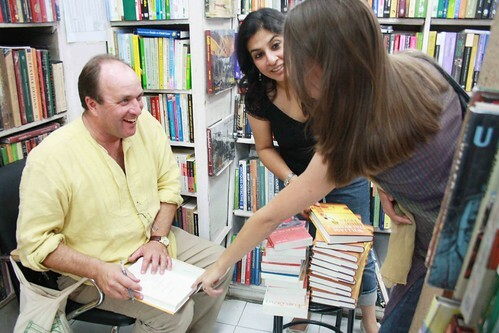 The event was well-publicised, the store was in the footfall-rich Khan Market, and this was William Dalrymple. A crowd was expected. Three hours passed; no one came. “Not a single person,” said Mr Singh with a twinkle in his eye. “William was very good about it. He laughed all the time saying that it was his most memorable signing session.” Within three days, all copies had sold out. I can sign 100 more! Thanx again MAS for an article on Dalrymple!!! 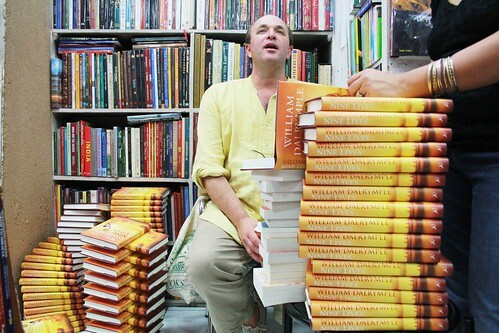 Missing this opportunity to get signed copy from him as am away from Delhi right now. If you are going to read ‘Nine Lives’, we expect a review of the book from ur pen in ur blog !!! 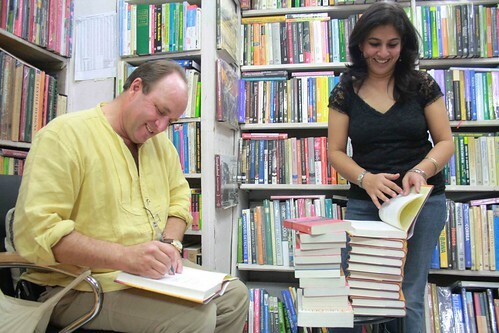 How can I find out where his future book signings would be in Delhi? I’d like to get my copy signed. Dude you should tell us a few days before he is due for a signing so we can all be there! Try doing that next time! I wish his books were available in hindi also. Thousands of non english reading people but as interested in delhi and mughals and india could have read it. Though i can read english I know at least 50 people to whom I would have gifted his books if they were available in hindi. Please, mr D. get your books translated into hindi immediately. 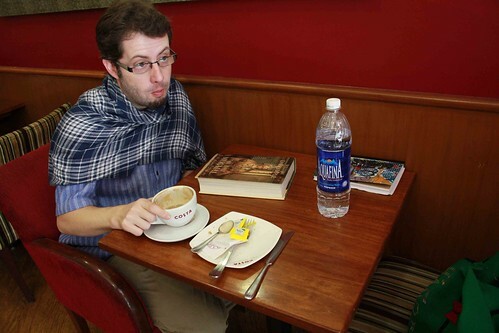 Food For Thought: An avid delhiwalla, Mr. Dalryple has never been to GB Road or infact past Ajmeri Gate! !